Palm Desert Resort Country Club. Golf Palm Desert California. Palm Desert Resort golf course details and information about Palm Desert Resort in California. Palm Desert Resort Country Club is a public golf course. It is a 6600 yard, par 72, championship golf course. 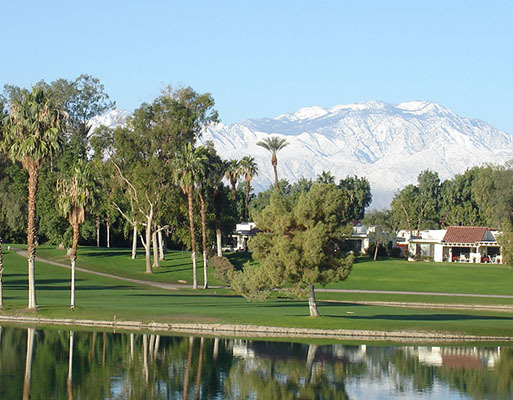 The Palm Desert Resort golf course has beautiful lush landscaping, glimmering lakes, and panoramic mountain views. This club is fun for beginners and professionals alike. A practice facility is located on the property that offers Palm Desert Resort golf lessons. It includes a large putting green, practice bunker, and grass tee driving range. Some of the instructors are even PGA professionals. The Palm Desert Resort Country Club also has a dining room with meals and snacks offered all day. The dining room includes patio seating, a lounge, and snack bar. For details on another fun public golf course in Palm Desert, check out Palm Desert Country Club.